Eel isn’t something that most people would consider ordering as an entrée in a restaurant; eel and rice bowl will most definitely not cross anybody’s mind. Why, you may ask. Because it’s eel! All you can think of is the slimy, slippery nature of the eel and you can’t imagine it as food or worse still, on your plate. My goal with this write-up is to completely change your orientation and have you eating eel at your next meal (okay maybe not your next meal). We’re gonna be looking at a Japanese grilled eel dish called unagi don, but before we get into unagi don, let’s discuss eels or unagi. 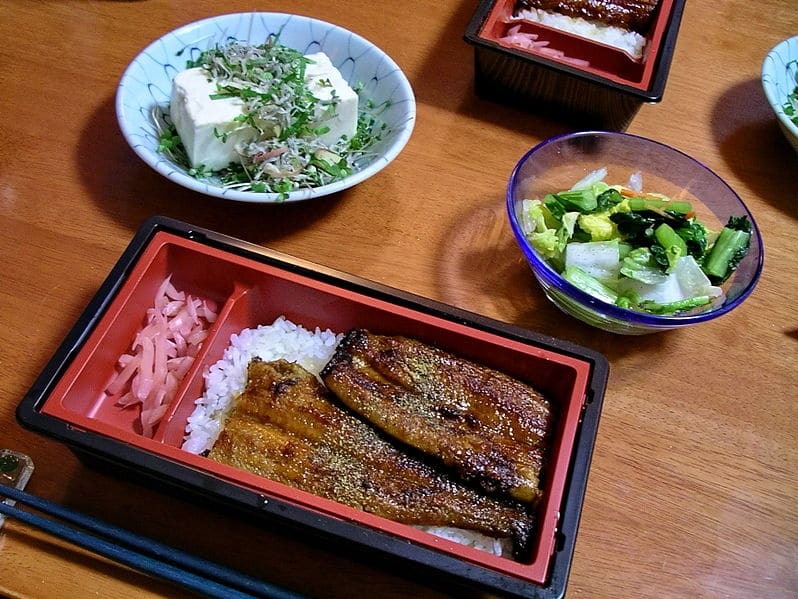 Eel is traditionally eaten during the summer months in Japan. This tradition dates back to the Edo period (1603-1868) when eels were eaten to avoid summer fatigue as they contain very high levels of vitamins, nutrient, and protein that provide energy and give the stamina to survive the hot days. During the Edo period though, the eels were quite cheap and readily available. Now, however, because the eel population has greatly diminished, it is more expensive and eaten only during special occasions as a luxury food. Doyo no Ushi no Hi (the Day of the Ox) is the national day for eating grilled eel in Japan. It usually falls between July 20th – August 10th although the exact date changes every year. The unagi, the freshwater eel, is going to be our focus for today. Unagi is found in the rivers of Japan, Korea, China, Taiwan, and Vietnam, as well as the Northern Philippines. It is cultivated from May to October and like all the eels of the genus Anguilla, it is catadromous. Japanese eel varieties are usually eaten cooked, not raw (contrary to popular opinion), in different creative ways and served in several unique styles. And with each unique style of serving, the dish has a completely new name. The meal often comes with other dishes that have mild flavors to balance out the rich flavor of the eel. One of such meals is unagi don. Unagi don is a meal of perfectly grilled eel fillets over a bowl of warm, steamed rice seasoned with a homemade unagi sauce. The eel is glazed with a sweet soy-based sauce called tare and cooked over the charcoal fire till it’s nicely brown and caramelized. 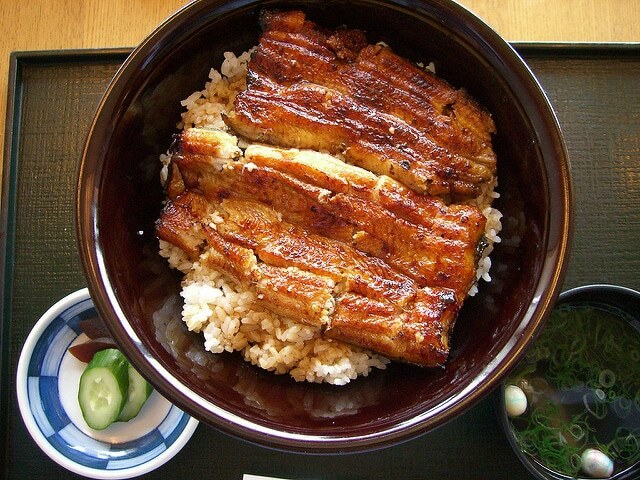 Unagi don is gotten from the phrase, “unagi donburi“. Unagi means eel and donburi is a rice bowl dish. So it translates to “eel over rice bowl dish.” Unagi donburi is also called unadon for short. How is the eel made? The eel used for unagi don is prepared kabayaki style. This process of cooking takes years to learn (about ten years) but it allows the meat to melt instantaneously in the mouth after chewing. This leaves you with the taste of the rich, juicy flavor. Eels with small heads, long bodies and plump are selected. 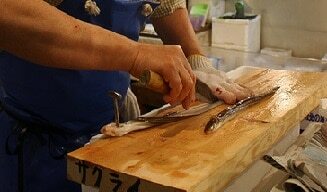 A special eel knife called unagi-bocho is used to cut open the meat laterally, along the belly. Then the big bones are taken out and the eel is put on skewers and grilled over charcoal fire. This grilling adds a nice aroma to the eel and removes the fishy smell. The eel is then put in a steamer to remove excess fat and dipped in mirin and soy sauce and grilled again and then packed for sale. In Japan, two different schools of thought for preparing food kabayaki style to existing. In the Eastern Kantō region, kabayaki eel (or unagi no kabayaki) is slit down its back and butterflied such that a lighter toned stripe of the belly travels down the middle of each fillet on the skin side. The longer eels are cut into smaller portions that are square shaped and then skewered. Then this skewered eel is broiled plain (what is known as shirayaki) then steamed, before it is seasoned and then grilled again. This makes it turn out more tender after grilling. 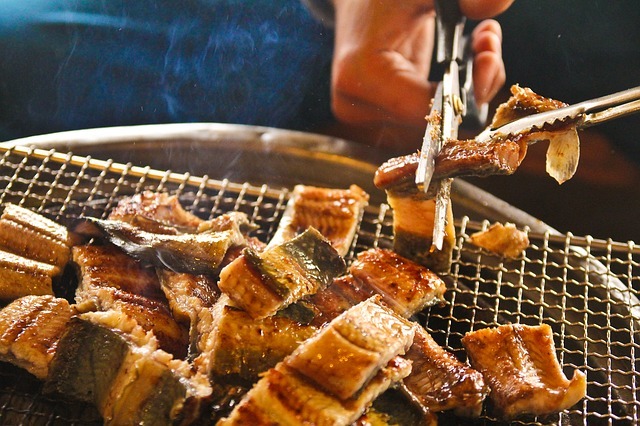 In the Western Kansai region, unagi no kabayaki is slit down its belly and grilled directly without it first being steamed. Usually, it is not cut and it is called nagayai. The outer skin is mostly tough and hard to chew so eel cooked in this Western style is usually placed in between the hot rice to help it become tender. I’m the Kansai region, the eel is often called mamushi. This is how the eel is made in the factories. Our job is to buy it and eat it so don’t start feeling anxious, okay? Good. Unagi Don Recipe – Delightful and Delicious! I’ll be sharing a recipe for unagi don. Most Japanese home cooks here in the U. S. don’t buy fresh eel (in fact it’s quite rare to see them in the stores in Japan). 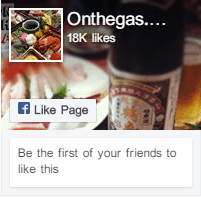 They usually buy grilled eel or pre-grilled eel sold in packets from Japanese supermarkets. The eels could be imported from Japan or another country. I noticed that thee unagi imported from Japanese is more expensive though. But not to worry, any eel will work just as well and will taste just the same as the iconic unadon. It’s fairly easy to make and if you have all your unagi don ingredients, you can have your very own Japanese experience right there in your kitchen. Wait, one more thing. The rice used in this recipe is Japanese short grain rice. It’s different in shape and texture from regular rice sold in stores. You would find it labeled as ‘sushi rice’ in stores in America and outside Japan. But please don’t confuse it with Japanese sushi rice which is vinegared, seasoned rice used for making sushi. And as for the sauce, you can buy ‘unagi sauce‘ from your local Japanese or Asian market or you can make it at home, I’ll show you how. Now, let’s begin. We start by making the unagi sauce. Mix the mirin and sake in a saucepan and allow to boil (to evaporate the alcohol). Add the sugar and stir until it completely melts down. Then add the soy sauce and allow to boil. Reduce the heat and allow the sauce to simmer until it thickens. Next, we boil the rice. 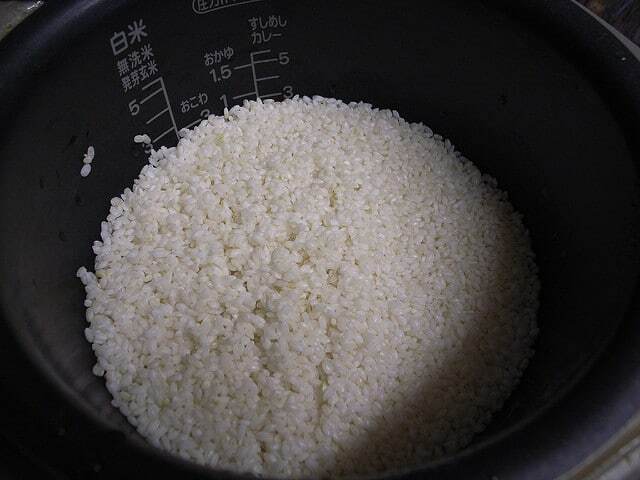 Cook your Japanese short grain rice in a rice cooker for about 15 minutes. Now, we work on the eel. Take it out if the packet and cut it into the half. Place it on a baking sheet and cover with aluminum foil. Bake at 350F for 10-12 minutes. Take it out and spray some unagi sauce on it and broil for another minute or so. Put your cooked rice in a serving bowl and spray some unagi sauce over the rice. Place the eel fillets over the rice and add some more sauce. Top off with your sesame seeds, sansho pepper, seaweed paper, and green onions. Serve immediately. The Japanese know what to do with food, I’ve always said it. And they know how to spice things up. The same meal in a different serving dish becomes a completely different meal with a completely different name. The unagi is prized for its soft, fatty meat and the bold, exotic taste. Sansho pepper (pepper native to Japan) is usually served with the eel. When ground, it has a potent herbal flavor which penetrates the fatty flavor of the eel. Unagi can be eaten at many restaurants such as tempura or sushi restaurants or at special unagi restaurants known as unagiya. I’ve listed below some ways to eat unagi, including unadon. Unadon: unadon or unagi don is grilled eel over rice. 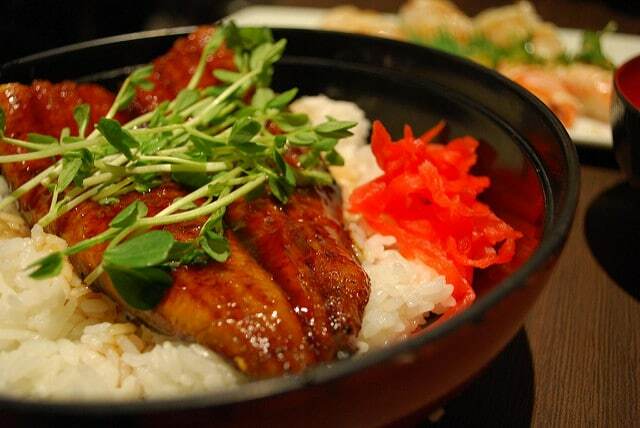 The unagi is glazed with a special tare, a sweet, thick soy sauce and placed on a round bowl of boiled rice. Unagi don is perfect to be prepared on the barbecue during a hot summer’s day or on an oven grill in the evening. More on this coming right up. Unajyu: this is the same thing as unadon, but instead of a round bowl, a rectangular serving dish called jubako is used. 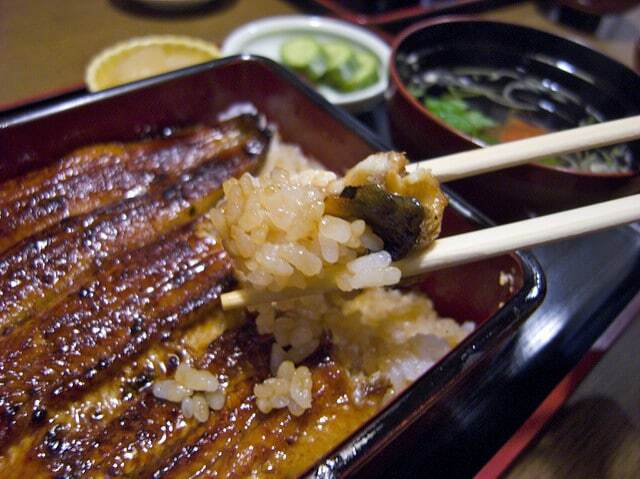 Shirayaki: in the shirayaki style unagi, the eel is roasted without the sauce and seasoned only with salt. This allows the genuine, original flavor of the eel to be tasted when eaten. It is usually complemented by a side of wasabi and a light soy-based dipping sauce. Hitsumabushi: this is eel served in a very unique way. The grilled eel is divided into four portions. The first portion is eaten in a rice bowl, as it is. The second portion is also in a rice bowl, but has green onions, wasabi and seaweed added to it. All these complement the natural flavor of the eel. And the third portion is eaten in a similar to the second, but with a hot broth of freshly brewed green tea poured over it. Eel Nigiri: this is basically eel eaten in sushi and is actually the most common way of eating sushi in Japan. It is a ball of pressed rice topped with the unagi, grilled and brushed with tare sauce and then served in slices. Eel hone senbei: in Japanese, hone means bone and senbei are traditional crackers. Hone senbei is a snack of deep-fried fish bones usually served with alcoholic beverages. It’s crunchy, with a salty taste. Because eels have a long spine, their backbones are ideal for senbei. Umaki: “maki” in Japanese means “rolled”. Umaki is eel that is wrapped in an egg omelet and sliced, and it’s a tasty combination of the sweet, salty, savory, richness of the eel and the soft, fluffed up texture of the omelet. When cooked with dashi (Japanese broth), the omelet is extra juicy. Kimoyaki: “kimo” means “eel liver” and “yaki” means “grilled”. So kimoyaki is a dish of grilled eel liver. The liver is cooked over charcoal and sprayed with a tare sauce, doused over with sansho pepper. Kimoyaki is also a dish that goes well with alcoholic beverages. 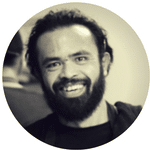 Kimo is rich in iron, vitamins, and calcium. Kimosui: kimosui is a transparent, tasty soup made with flavored and boiled eel livers, and added to a broth made of mirin, dashi, soy sauce, and mitsuba. This soup is served as a side, accompanying an eel bowl to make for a really complete meal. What is so Great About the Eel? With a long, slim, body and slippery, slithery movements, the eel is not what most people would consider ideal for a meal. In fact, if you see the eel alive, you’d think twice about eating it. 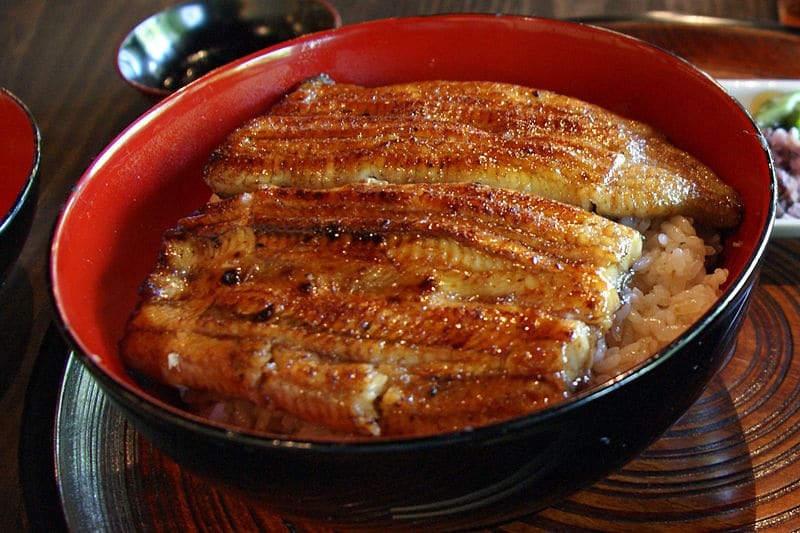 But for hundreds of years, different varieties of the eel have featured in Japanese cuisines and they are popular amongst the people and even visitors. Some of the eels eaten include anago (saltwater eel), unagi (freshwater eel), dojō (loach), Gimpo (Pholidae) and hamo (conger eel). The Japanese are a bold people, and they let nothing – not even slime – get in the way of their culinary satisfaction. The ingredients used to make the sweet unagi sauce are very important as they help the final taste of the unagi. And the different unagi restaurants have their own secret recipe and are known to fiercely protect it. The quality of charcoal used is also key. The best charcoal is made from the oak tree found in Wakayama in central Japan. And the eel itself, it is best caught wild rather than farm fresh. The ideal size is between 30 and 50 centimeters. Some real fancy unagi restaurants keep the eels in large tanks and only start preparing one when an order is placed. It’s gonna take a while, but in the end, it’s always worth it. For what seems like just simple seafood, the unagi does bring many mouth-watering flavors to the taste buds and a host of different ways to prepare it. I hope you make this unagi don recipe and enjoy it as much as I did. From me to you, it’s bye!